One of the popular brand of cloth diapers are the Rumparooz. The waterproof cover is absolutely amazing. 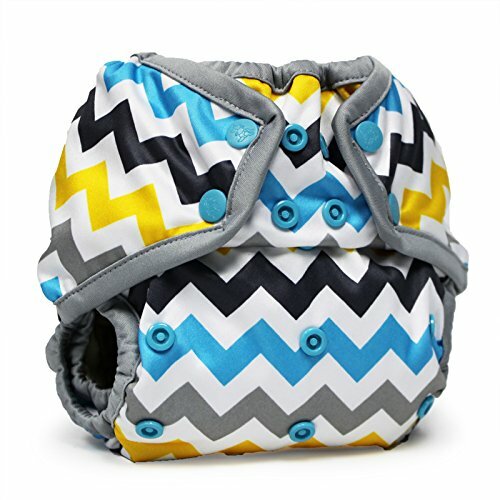 This brand has one size covers and allows a prefold diaper to go underneath and the waterproof cover on top. It is very versatile. The one size is great as you can use them from newborn up until the child is potty trained. If you don't have prefold diapers you can use flour sacs and that will soak up the soiled diaper well. Rumparooz even makes these covers specifically for newborns as well. There is a small curve on the top where it snaps for their umbilical cord stub. This is perfect so the stub doesn't get infected or bothered by the cover. Rumparooz diaper cover. These work great with flour sacs or prefold diapers. Grovia is another great brand to choose when making the switch to cloth, otherwise known as "fluff". The snap inserts are great because they soak up so much and really work well for all types of babies and even toddlers. 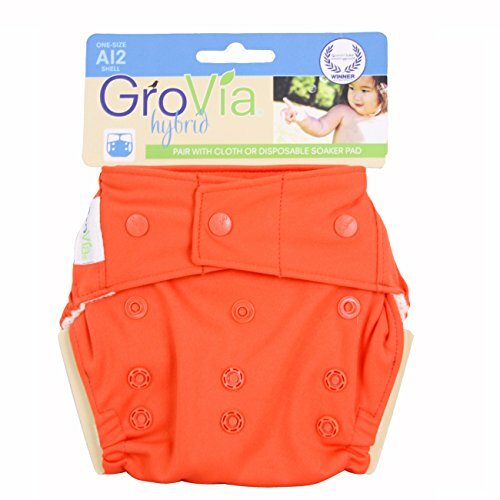 Grovia diapers also grow with your baby. You can snap them up for when they are young and you can unsnap them as they get older and it still has a great fit for them. The only downfall of Grovia snap in inserts is that it takes a while for the inserts to dry. It is recommended to buy a few inserts just so you have a few to use when you are washing the others. Grovia is another great brand that is popular among parents. Every so often you will have to strip your diapers with bleach. This ensures that you get all the germs out and it will take care of that ammonia smell they may have. Make sure that after you strip them completely, you will want to wash in hot water and rinse in cold and allow them to go through 2-3 rinse cycles to fully get the bleach out before you put it back on your baby. If you have any leaking problems, stripping them is a great option to bring them back to life again. As long as the PUL is still good in the diapers, you will have no issues and they will last years. Once the PUL is gone you are pretty much out of luck. PUL is the polyurethane laminate that makes the diaper waterproof. If the PUL is gone or worn out, the material will likely leak through. However, with proper care, many families have used the same diapers with every one of their kids with no problems at all. There are many different ways to strip your cloth diapers. This video is very clear and shows in detail how to go about the stripping process. After you are done, you should no longer smell that ammonia smell and you will have a fresh clean stack for your baby's bottom again. When washing your cloth diapers you want to have a very strict wash routine to make sure you cloth diapers don't get ruined and they hold up as they should. Make sure you wash in with an approved laundry detergent. Purex free and clear is great, but the liquid will clog up the diapers, so make sure you use powder. Seventh Generation is another great choice because it is free and clear of all the dyes and perfumes that would be in many of the branded detergents. While it is a little more expensive, you can be sure you are making a great choice for your little one and their skin. You can also buy Seventh Generation fabric softener sheets if you would like. Some people prefer to dry their diapers in the dryer and others don't because it tends to wear out the fabric quicker. Many cloth diapering families like to line dry all of their diapers to extend the life of them. If you simply don't have time to wash them yourself or you just don't want to they do have a diapering service that will come pick up your used diapers for you, wash them and return clean ones at your convenience. This is a great option for those parents who want to use cloth but simply don't have as much time on their hands as they would like to. 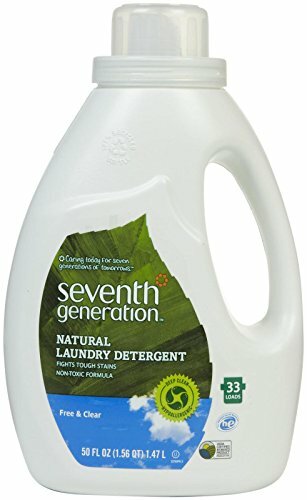 Seventh Generation is a great option for laundry soap when washing your cloth diapers or any of your family's clothes. For a low price, you can get something safe for your entire family. Reusable diapers are a great option because they are environmentally friendly, it saves you money, and is great on your baby's skin. You don't have to worry about diaper rash as often when you use these reusable diapers because the material works well with human skin contact. Disposable diapers tend to leave unwanted rashes which are difficult for both the parents and the baby. Make a great choice for your baby and cloth diaper. There are many cute patterns to choose from and the amount of money you will save is unreal. Some people will argue that they spend more money on laundry soap, electricity and water from washing the diapers so often, but the prices have been compared and cloth is definitely a lot more affordable in the long run. As long as you have the upfront funds to purchase a few, you are on your way to raising an eco-friendly baby. This video is great for beginners that do not know how to cloth diaper. The instructions are simple and easy to follow.